There are lots of fun things to do during the summer months, a season that easily stretches from June into September. 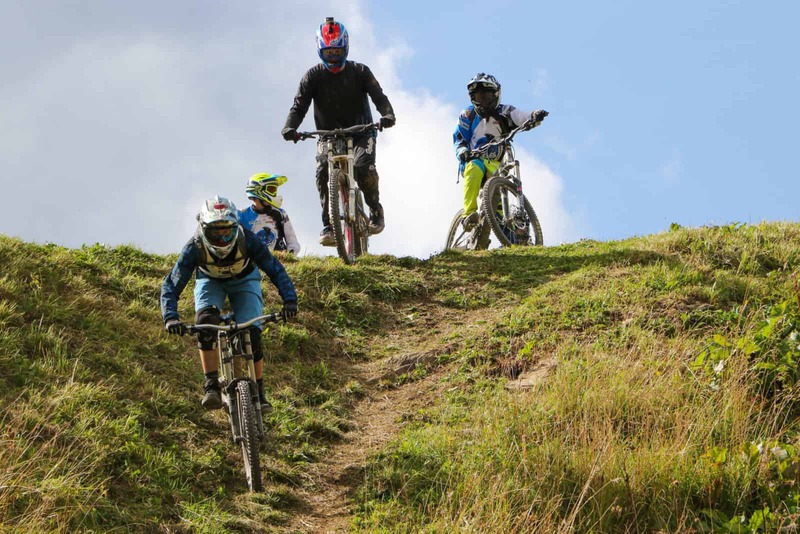 This region of the French alps is well known for hosting mountain bikers and alpine walkers, both of whom are well catered for with marked trails and tracks. There are however many more attractions for individuals and families that provide a huge variety of summer activities for the duration of the season. Virtually every village over Haute Savoie seems to host a summer festival which together create a wonderful collection of fun events to at which to enjoy local produce, crafts and unique entertainment. At Lac Vonnes there are more peaceful aquatic pursuits with stand-up paddle boarding, canoeing and fishing. There are many routes over the mountains for mountain bikes, graded according to difficulty. Châtel has been investing heavily over the last twelve months adding many new routes for this summer. The lifts are converted for the summer months to carry bikes as well as passengers up to the mountain peaks. So whether you are on foot or on wheels, and wishing to conserve a little energy, the high pastures are easily accessible to you. 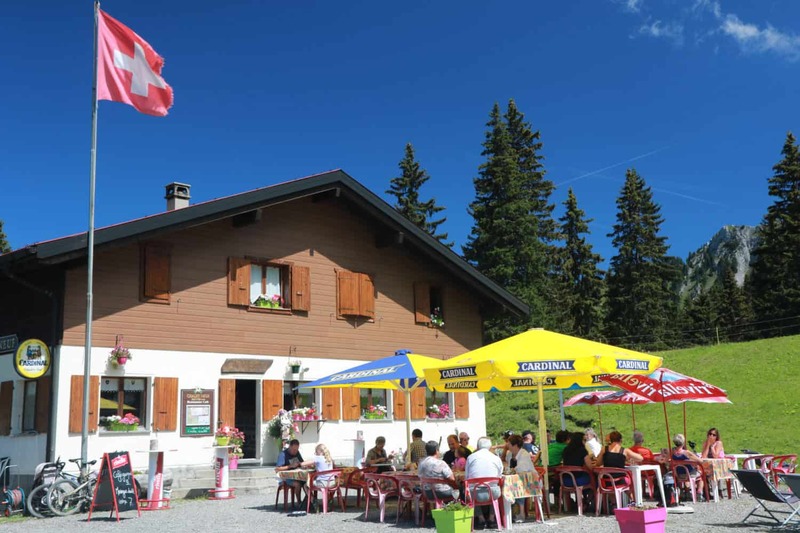 In addition to the active pursuits there are many mountain chalet restaurants and refuges which welcome walkers and passers by over the summer months... often just at the point when you are looking for a chance to put your feet up! For daredevil, high speed enthusiasts there is the Fantasticable, a zip-wire strung between the mountain tops where speeds of over 100kph can be achieved! The Adventure Park above Super-Châtel offers more high wire action with an aerial obstacle course strung between the trees. 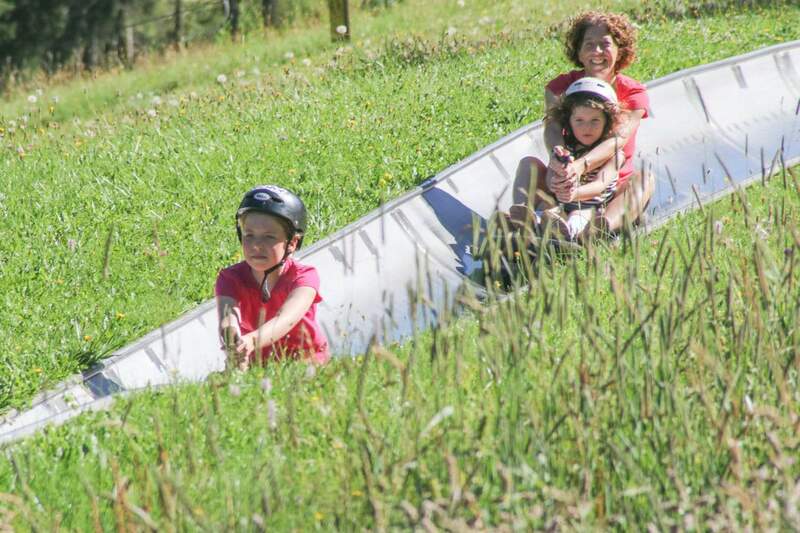 Back on the ground at Pré-la-Joux adults and children alike can whizz down the hillside on the summer Bob Luge, Dévalkarts and the Rollerbe. There is much more to be enjoy. Tennis, golf, petanque, paragliding and mini-golf to name but a few. The tourist office in Châtel is a great source of further information, contact details, dates, times and maps. There are lots of fun things to do during the summer months, a season that easily stretches from June into September. 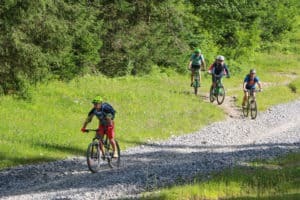 This region of the French alps is well known for hosting mountain bikers and alpine walkers, both of whom are well catered for with marked trails and tracks. 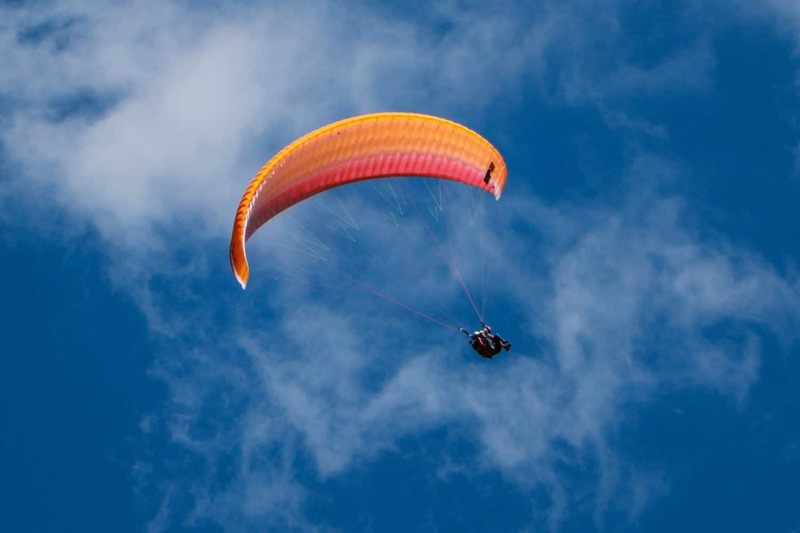 There are however many more attractions for individuals and families that provide a huge variety of summer activities for the duration of the season. More information on family activities can be found on our blog. 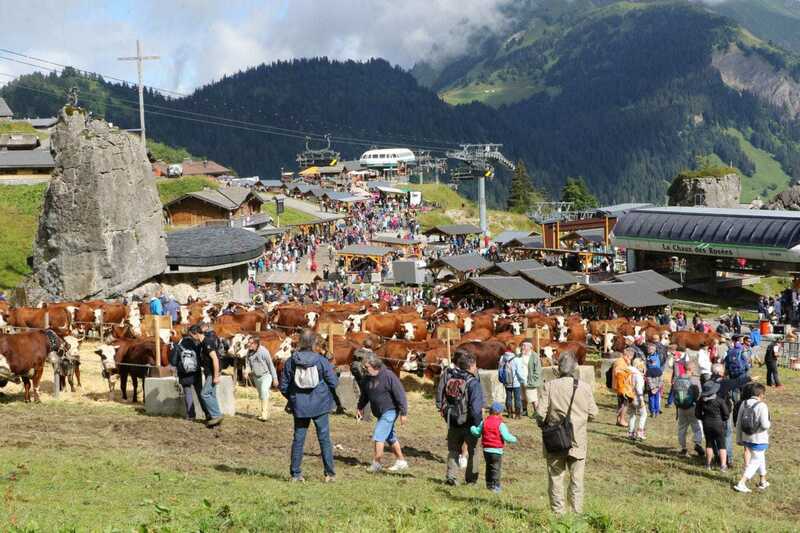 Virtually every village over Haute Savoie seems to host a summer festival which together create a wonderful collection of fun events to at which to enjoy local produce, crafts and unique entertainment. 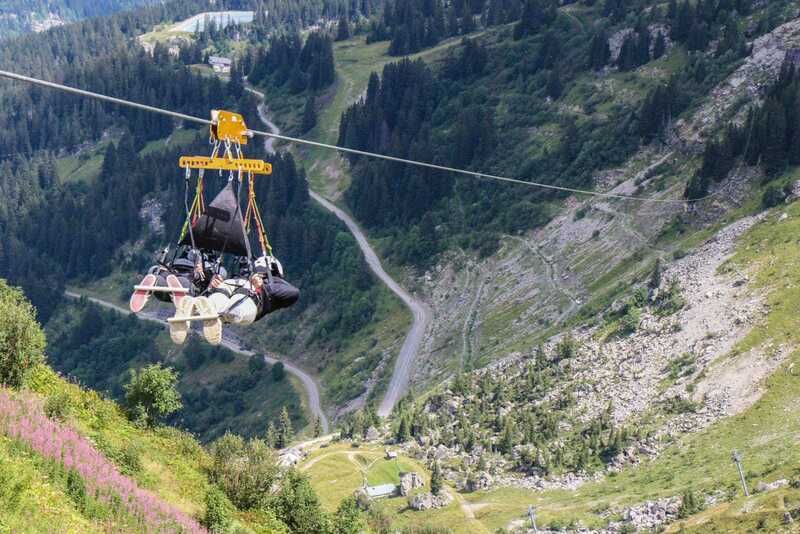 For daredevil, high speed enthusiasts there is the Fantasticable, a zip-wire strung between the mountain tops where speeds of over 100kph can be achieved! The zip wire is situated high above the lifts from Pré-la-Joux. For the less adrenalin-demanding this is a great area to walk from, possibly down into the Linderets valley and the restaurants of the Village des Chèvres, across to the Col de Bassachaux chalet restaurant or simply to enjoy the chalets of Plain Dranse, half way up the mountainside. There are plenty of activities for the family too. 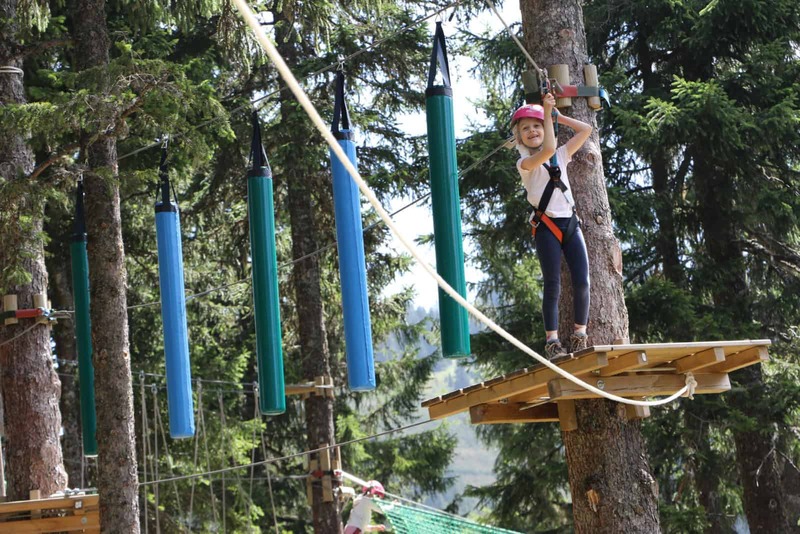 The Adventure Park at Super Chatel, at the top of the gondola, has high and graded rope trails - an aerial obstacle course strung between the trees - that can take several hours to complete. The Dévalkarts and neighbouring Bob Luge at Pré-la-Joux will have you screaming - if you let the brakes off and fly downhill. 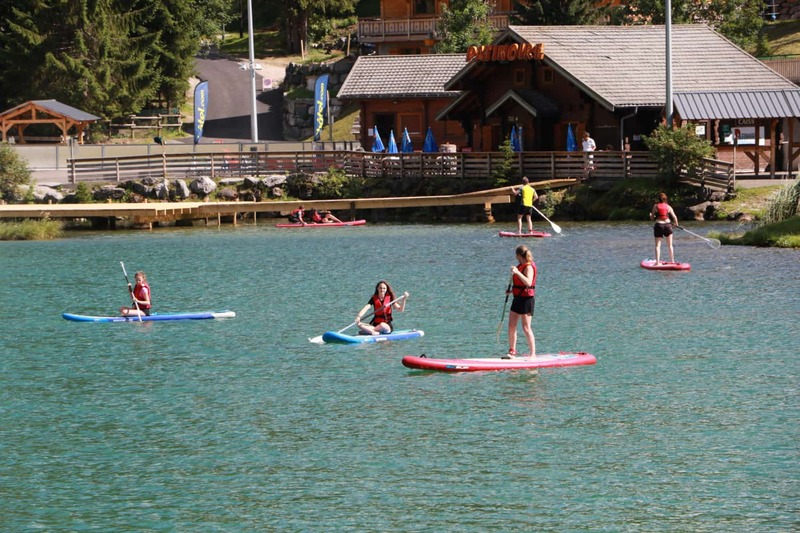 At Lac Vonnes there are more peaceful aquatic pursuits with stand-up paddle boarding, canoeing and fishing. Not very far away near Bernex is the water park La Plage de la Beunaz. Or there is the popular forested lake at Lac de Montriond. 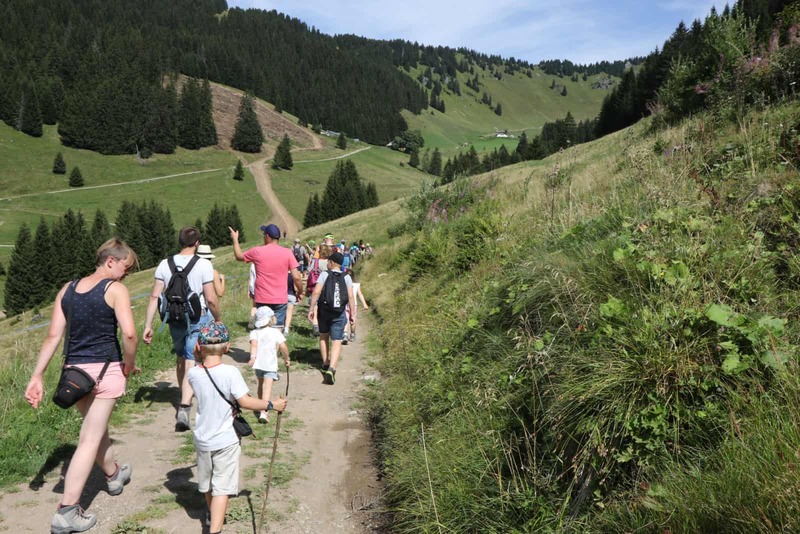 There are plenty of mountain trails of varying ability and challenge, from the family friendly ones with a guide up to a cheese farm to full day hikes up steep arêtes to the tops of the mountains. Guide books are widely available and we are happy to make suggestions too. And while the mountains are beautiful it is always pleasant to find a sunny spot to relax. 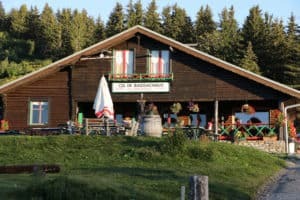 There are many mountain chalet restaurants in the hills and plenty more venues in the villages. We can even point you towards the craft ale if you prefer. For those truly back to nature moments, visit the boulangerie in Châtel, grab a baguette and a pain montagne, some cheese and sausage from the charcuterie and let us direct you to a suitable picnic spot. Châtel is well situated to provide many interesting excursions. 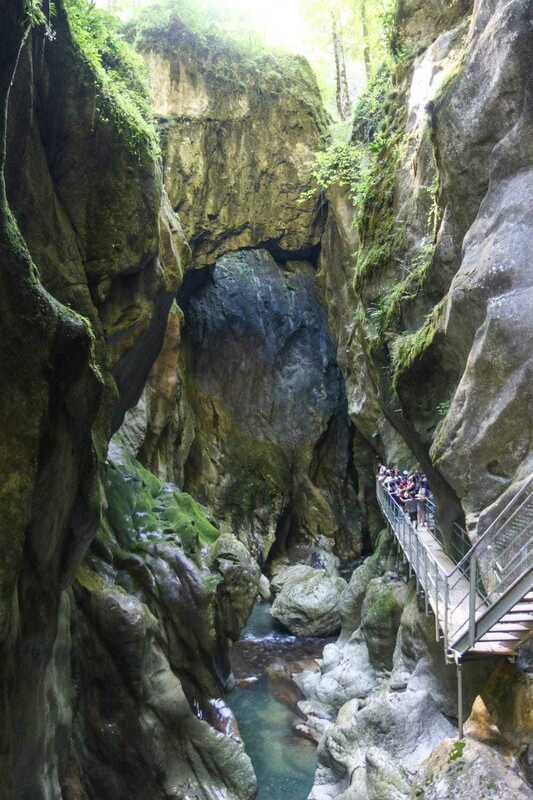 The nearby Gorges du Pont du Diable, pictured here and just outside Abondance, provides a dramatic descent into the river below. Down the valley by Lake Geneva are the vineyards of the Savoie. Lying on the shores of the lake are the famous towns of Evian, with its beautiful beaches, and Yvoire with botanical gardens and historical castle, Chateau d'Yvoire. For a more cultural experience visit the anchient Chateau de Chillon outside Montreux, or the Montreaux Jazz Festival held in July. Even the picturesque medieval town of Gruyères in Switzerland is with reach. It is hard to cover all the options. For families, groups and individuals there is so much to do – from the active to the tranquil. Tennis, golf, petanque, paragliding, horse rising, mini-golf, swimming, the spa and tennis are to name but a few more. The tourist office in Châtel is useful source of further information, contact details, dates, times and maps. We provide a bespoke service to our guests. Contact us and we will advise and assist you with your holiday plans.